- Features Foreword by Nancy KissingerA uniquely talented and visionary creative leader in the world of retail, Joseph Cicio's high-profile positions brought him into contact with leading celebrities of the day. He became close friends with figures such as Lady Nancy Slim Keith, Lauren Bacall, Audrey Hepburn, The Kissingers, and Joan Rivers, earning him a fascinating insight into the private lives of people who most can only read about and few were privileged to know intimately. 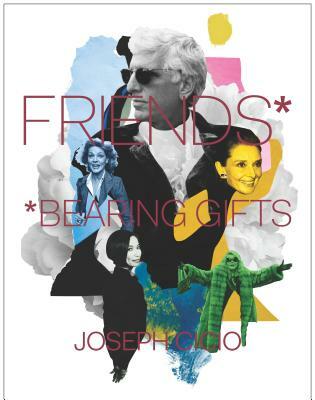 Friends**Bearing Gifts is about these relationships and the unmatched experience of remembering each one through the beautiful objects they each gave to him. Featuring stunning photography of Cicio's Connecticut home, which has been published several times, and individual essays on each friend and their gifts - the book deeply emphasizes the importance of relationships, and is a reflection on a life filled with friends, objects, and ultimately, exceptional memories. Contents: Foreword; Introduction; The Garden; The House; Acknowledgments; Index. Joseph Cicio was born in Brooklyn, New York, into an Italian-American family. He followed monastic studies at St. Paul's Abbey in Newton, New Jersey, and Western Priory, in Weston, Vermont and graduated from the New York School of Interior Design in New York. Cicio has been the Director of Visual Merchandising for the Lord & Taylor branch stores; the Corporate Senior Vice President for Creative Services and Product Development at R.H. Macy's in New York; the Chairman and CEO of I. Magnin in San Francisco, California; the President of Retail Development for Donna Karan, Inc.; the President of Retail Development for Sun International; the CEO of Mayors Jewelry; the CEO for Penhaligon's worldwide; the European Director for Erno Laszlo; and a consultant for numerous fashion and home furnishings brands worldwide. He lives in Litchfield County, Connecticut. Friends**Bearing Gifts is his first book.